SpaceX's new crew capsule arrived at the International Space Station on Sunday, acing its second milestone in just over a day. If the six-day demo goes well, SpaceX could launch two astronauts this summer under NASA's commercial crew program. Both astronauts _ Doug Hurley and Bob Behnken _ were at SpaceX Mission Control in Southern California, observing all the action. They rushed there from Florida after watching the Dragon rocket into orbit early Saturday from NASA's Kennedy Space Center. 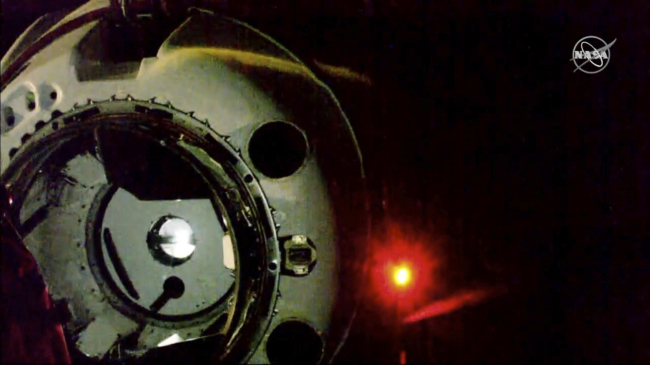 The station astronauts offered congratulations to SpaceX, as they got ready to open the hatches and collect the supplies stashed aboard Dragon. The capsule's lone passenger _ a mannequin wearing a white SpaceX spacesuit _ also was going to be welcomed aboard. The test dummy _ or Smarty as SpaceX likes to call it, given all the instrumentation _ is named Ripley after the lead character in the science-fiction “Alien” films.